If you happen to have twins for sure you are thinking about twin birth announcements. In this case there are a lot of different ideas that you could be thinking about. Usually the parents create cards with a photo on them of the little ones. Naturally you could get a bit more creative. One of the ideas you could use is to take a picture of the little one sitting or lying beside each other. Below this photo there should be a band with the text ‘doubly blessed’ and below this cut out two photos, one of each baby from the photo that you used previously. Another idea that you could use when it comes to announcements of twins is to take a photo of each baby separately. Naturally they should be doing something cute, like yawning to make the card even more interesting. Above the photos add the name of each baby. 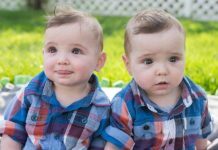 If you are looking for simple ideas regarding twin birth announcements you also have the possibility to take only one photo. This should be taken when the babies are sleeping close to each other. This way you can illustrate their brotherly love at such early stages. When it comes to cute ways of announcing twins, you could place a photo of one of the babies in the upper left corner of the card and in the upper right corner put two baby footprints. Write information about the baby in the footprints. Do the same on the lower part as well, but in this case the photo should be placed in the lower right corner. The twins are like two cherries. You could use this idea for the twin birth announcements. Have a photo taken of the little ones and add a couple of cherries to one of the corners of the photo. You can be sure that your friends will make the connection between the fruits and the babies. If you happen to have two girls, you could use some girly motifs for the twins’ announcement such as flowers. Again you should put a photo of the babies on the card and decorate the rest of the card with flowers. For background color of the card, you can choose pastel pink. You could use small circles to underline your message of twin birth announcements. Spell out ‘twins’ with the help of dots, placing a letter in each dot. The photos of the babies should also be placed in larger circles to maintain the style of the card. If you have twins it means that there is twice as much love as in case of a singleton. Think about this when looking for twin babies’ announcements. You could have a heart on the card, in one half of the heart being one of the babies and the other in the other half. 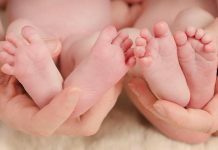 There are a lot of useable ideas regarding twin birth announcements. 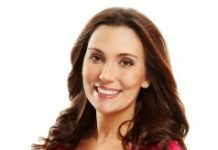 Twin Birth Myths: Is There Truth in Them?